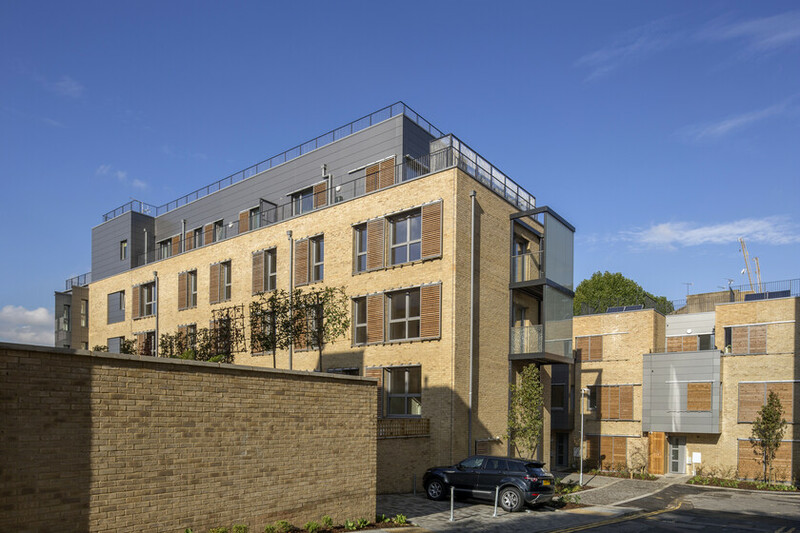 One of the first mixed tenure Passivhaus scheme in London comprises a mix of private houses, homes for affordable rent and homes for shared ownership. This ambitious development, currently under construction in Shepherd’s Bush, is the first of its kind in the UK. 8 private houses, 9 affordable homes and 13 shared ownership homes have been designed to Passivhaus standards in a densely populated urban location between two conservation areas. Atelier Ten have produced a low energy design strategy for the site incorporating the excellent levels of insulation and air-tightness required for Passivhaus, solar hot water heating and photovoltaic panels. Ventilation is provided via Passivhaus certified whole house ventilation units with heat recovery efficiencies of over 90%. As well as developing the concept design and environmental strategy Atelier Ten provided the full detailed design of the mechanical, electrical and public health services, and the calculations required for the Passivhaus Planning Package. The scheme has been awarded Code for Sustainable Homes Level 4 and the first block has received Passivhaus certification.